Perfect for larger feature plants. 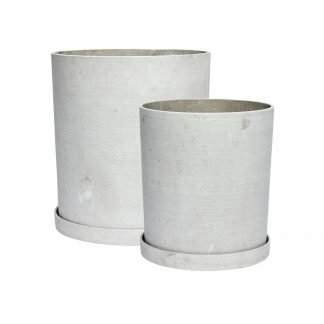 These polystone plant pots have a colour and texture that is reminiscent of concrete, but without the weight. There are 2 sizes to choose from. By Danish design house, Hubsch. Large pot dimensions: 25cm diameter x 28cm tall. XL pot dimensions: 30cm diameter x 34cm tall. 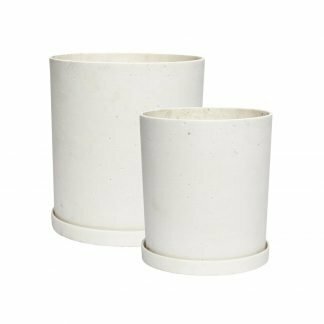 The walls of these pots are approximately 7mm thick. The saucers are cosmetic as these pots have no drainage hole.